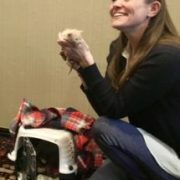 In the Cat Lifesaving Masterclass, you will have the opportunity to sit in small groups with a few different "masters" in the industry, such as Austin Pets Alive! 's Monica Frenden and Dr. Alexis Bardzinski, to discuss the obstacles that you face in your community in saving cats. This session is designed to give you more specialized help in your journey to No Kill so that you can leave the AmPA conference with tools, knowledge, and support. Each masterclass will give you the opportunity to sit with a master for a short period of time before moving tables to discuss more topics. This will be engaging, enlightening, and fun! 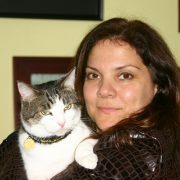 Maddie's Director of Feline Lifesaving, American Pets Alive! 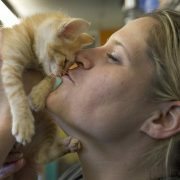 Medical Director at Austin Pets Alive!